Also mentioned in the article by a team of reporters at mail order real cialis The Guardian was that, despite the president’s claim of “transparency,” there is still a great deal of secrecy surrounding the use of drones and a lack of accountability for the number of civilian killed during these raids. The previously unreported intelligence report, viewed by go to link The Intercept, indicates that the U.S. government knew soon after the strike that it had killed two civilians. It could add fire to a lawsuit that Faisal bin Ali Jaber has launched in Germany, as further evidence that U.S. strikes put innocent Yemenis at risk. Andrew Cockburn, the editor of informazioni viagra generico 200 mg a Genova Harper‘s magazine, sat down with “The Daily Show” host Jon Stewart to discuss his new book get link “Kill Chain: The Rise of High-Tech Assassins,” that exams America’s flawed obsession with high tech ways to assassinate people with drones. You can read an excerpt from his book at source Counterpunch. I have 3 articles for you this Wednesday morning! A new article in The New Yorker by Steve Coll underscores how deceptive this journalistic practice is. Among other things, he notes that the U.S. government itself-let alone the media outlets calling them “militants”-often has no idea who has been killed by drone strikes in Pakistan. That’s because, in 2008, George W. Bush and his CIA chief, Gen. Michael Hayden, implemented “signature strikes,” under which “new rules allowed drone operators to fire at armed military-aged males engaged in or associated with suspicious activity even if their identities were unknown.” The Intercept previously reported that targeting decisions can even be made on the basis of nothing more than metadata analysis and tracking of SIM cards in mobile phones. We have gone down the rabbit hole and through the looking glass. Michael Ratner: [..] In a chilling ruling this federal judge in this federal district court dismissed the case. And the key language from that opinion is: the government must be trusted. I want to repeat that: the judge said the government must be trusted. And here’s the exact quote: “Defendants must be trusted and expected to act in accordance with the U.S. Constitution when they intentionally target a U.S. citizen abroad at the direction of the president and with the concurrence of Congress. It’s a really outrageous ruling. The president kills whom he pleases, just so Congress is given broad authority for the president to determine who the enemy is. It’s an utter abdication by the court. It gives up on the so-called checks and balances we all learned as schoolchildren. It ends, actually, a key principle of the Magna Carta, which is the American and British charter of liberties, which was actually ratified or signed by King John in the year 1215. We’re coming up to the 800th anniversary. So what this court ruling does, what the president’s action does do is overturn 800 years of constitutional history. Courts are supposed to be a buffer between what was the absolute power of kings and the people. We no longer have the rule of law; we have the rule of the king. In other words, we have the syndrome of “off with his head”. The families of the three – including Anwar al-Awlaki, a New Mexico-born militant Muslim cleric who had joined al-Qaida’s Yemen affiliate, as well as his teenage son – sued over their 2011 deaths in US drone strikes, arguing that the killings were illegal. Judge Rosemary Collyer of the US district court in Washington threw out the case, which had named as defendants the former defence secretary and CIA chief Leon Panetta, the former senior military commander and CIA chief David Petraeus and two other top military commanders. But the judge said she would grant the government’s motion to dismiss the case. go to link In military slang, Predator drone operators often refer to kills as ‘bug splats’, since viewing the body through a grainy video image gives the sense of an insect being crushed. Even Congress doesn’t want us to know the details of the Drone War. The House Intelligence Committee on Thursday rejected 15 to 5 what supporters call a “modest” proposal to require that the Obama administration publicly report those killed by U.S. drone strikes overseas. Why would they not want us to know how many “enemies” we killed, unless there is something about this War on Some Terror that we wouldn’t approve of? Fortunately there is enough information out there that we can piece together an approximate picture of what is happening. The connection or family resemblance of feudal despotism and a repressive political state apparatus that attempts to control reproductive rights or democratic representation is now mobilized by ideology and ideological institutions such as Religions, Governments, and Mass Media and are mobilized much like Pat Buchanan’s meme of a Culture War. Its bastardization into a variety of discourses about race, class, and gender occupy much of the time and space of DK. As a matter of making the analysis of contemporary events, especially those exhibiting false consciousness like acts of racism or other violence clearer, some variants of Marxist methodology can be useful beyond some inerrant textual applications of Marxological theories. Excuse the lapse into the technical but the recent histories of human conflict as well as conflict among humans and nature require methods that can help make even the simplest of practices more coherent under the “shock doctrine” of crisis capitalism. There is a fluid boundary between culture war and actual war much as there is between abstract and concrete violence. 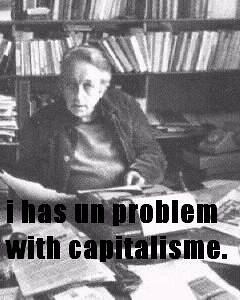 Althusser explains that the SA (State Apparatus) functions predominantly by violence or repression and only secondarily by ideology. Similarly the ISAs (Ideological State Apparatuses) function predominantly by ideology but can include punishment or repression secondarily. This diary begins with a consideration of a recent book on Buddhist Warfare, a topic which has interested others as representative of the apparent contradiction of perhaps more Western stereotypes about the peaceful resistance to authoritarianism by some Buddhisms (Tibet) and the hegemonic behavior of other Buddhist majority regimes (Myanmar/Burma) where punishment or repression seems anomolous to a population significantly Buddhist. There is no space here to discuss the complex sectarian struggles of global religions and the focus here is on the material justification of cultural violence in the context of this recent book edited by Jerryson and Juergensmeyer Buddhist Warfare OUP 2010. The ideology of any religion and its worldly sectarian practices can be considered as some Marxists did in the last century as Ideological State Apparatuses (ISA) in the case of the ambitions of early to mid 20th Century Japanese imperialism, Buddhism was manipulated to become an ISA in terms of forging a national will and an industrialized state to sacrifice for humans claiming the status of feudal deity-monarchs. In the cases of contemporary Thailand and Myanmar among others, the identity of Buddhism and a ruling class creates a complex set of contradiction for both Buddhist resistance movements and military-political elites no different structurally than many other regimes Marx described as an Asiatic mode of production, (AMP), and that Oriental Despotism reproduces itself structurally in many contemporary Asian corporatized ruling class economies that have many different oligarchic names such as Chaebol in South Korea, family-controlled corporate conglomerates. In Japan before World War II, large holding companies formed wealth groups, or zaibatsu, which dominated most industry. The zaibatsu were dissolved after the war, but keiretsu-large, modern industrial enterprise groupings-emerged. And the tensions between the imperatives for military and economic self-defense as well as the need for corporatist, oligarghic, yet familial expansion create more challenges for the many corresponding Buddhisms. What is important for this brief narrative is the point of view reconciling the complexity of many Buddhisms within the context of such societies, the expansion of rationalized violence against a populace and the rationalizing discourse of remote killing. This is where the army does the killing so one’s own responsibility is intact. Drone warfare can represent the instrumental separation and distance possible and even resemble the Buddhist position or relative autonomy on just violence. In these cases, that group or even individual violence or exploitation are situated in a discourse of class struggle that has an ideological structure consistent with other capitalist and even pre-capitalist practices. There is some literature on the political economy of arbitrary seasonal regional violence in France in the late middle ages. This same discourse exists in the justification or rationalization of individual and group religious practices in military organizations working for governments that represent a separation of church and state. This is historically a relatively new term considering the number of theocratic regimes that do not recognize that formal or informal separation in contrast to democratic rules of law which attempt to keep public order in a republic despite the actions of corporate despots. The theory of the Asiatic mode of production, (AMP) was devised by Karl Marx around the early 1850s. The essence of the theory has been described as “[the] suggestion … that Asiatic societies were held in thrall by a despotic ruling clique, residing in central cities and directly expropriating surplus from largely autarkic and generally undifferentiated village communities.” The theory continues to arouse heated discussion among contemporary Marxists and non-Marxists alike. Some have rejected the whole concept on the grounds that the socio-economic formations of pre-capitalist Asia did not differ enough from those of feudal Europe to warrant special designation. Aside from Marx, Friedrich Engels was also an enthusiastic commentator on the AMP. They both focused on the socio-economic base of AMP society. Marx and Engels were trying to reconcile why development was uneven in the East Asian context, partially to explain European colonialism and the creation of spheres on influence based on new forms of extractible exchange in the form of mobile surplus value, in this case, opium as a medium of exchange value. “China, one of those faltering Asian empires, which one after the other fell prey to the entrepreneurial spirit of the European race, was so weak, so much collapsed, that it did not even have the strength to go through the crisis of a people’s revolution, so that an acute indignation has turned into a chronic and probably incurable disease, an empire, so much decomposed, that it was almost unable to rule its own people or to offer resistance to the foreign aggressors”. This is a controversial contribution to Marxist theory, initially used to explain pre-slave and pre-feudal large earthwork constructions in China, India, the Euphrates and Nile river valleys (and named on this basis of the primary evidence coming from greater “Asia”). The Asiatic mode of production is said to be the initial form of class society, where a small group extracts social surplus through violence aimed at settled or unsettled band communities within a domain. Exploited labour is extracted as forced corvee labour during a slack period of the year (allowing for monumental construction such as the pyramids, ziggurats, ancient Indian communal baths or the Chinese Great Wall). Exploited labour is also extracted in the form of goods directly seized from the exploited communities. The primary property form of this mode is the direct religious possession of communities (villages, bands, hamlets) and all those within them. The ruling class of this society is generally a semi-theocratic aristocracy which claims to be the incarnation of gods on earth. The forces of production associated with this society include basic agricultural techniques, massive construction and storage of goods for social benefit (granaries). Yet colonial extraction and power projected itself easily into East Asia in the 19th Century, partially because of the kinds of labor agreements made in parallel with native merchant capitalists as well as a hegemonic ensemble of colonizing projects, each bringing its own version of Orientalist (sic) value to Europe. Yet concurrently and administrative violence brought to a country has its relatively autonomous indigenous religion still operating as an ISA in parallel to missionary Christianity where spiritual volition could be retained. It is no stretch to see the use of religion in legitimating state violence as seen in the image of the Taliban demolishing sacred Buddhist sites as motivating or rationalizing the initial invasion into Afghanistan and its continued use on a more informally profane way in the conduct of the subsequent wars. These are moments of justifying/rationalizing violence against self or Other (preemptive violence prevents a greater sin). In some historical cases they are the reasons for oppressing rival sects or religions to this day. Two recent reports on America’s drone wars reveal some very disturbing evidence that the use of drones is killing more civilians than the US wants to admit and that their use is a war crime. The report by Amnesty International (pdf) focused on the killing of Mamana Bibi, a 68 year old grandmother who was killed while picking vegetables in a field with her grandchildren in North Waziristan, Pakistan. A few minutes later a second strike injured family members trying to aid her. Amnesty International has stated that the drone strikes are unlawful amounting to war crimes or extrajudicial assassinations. 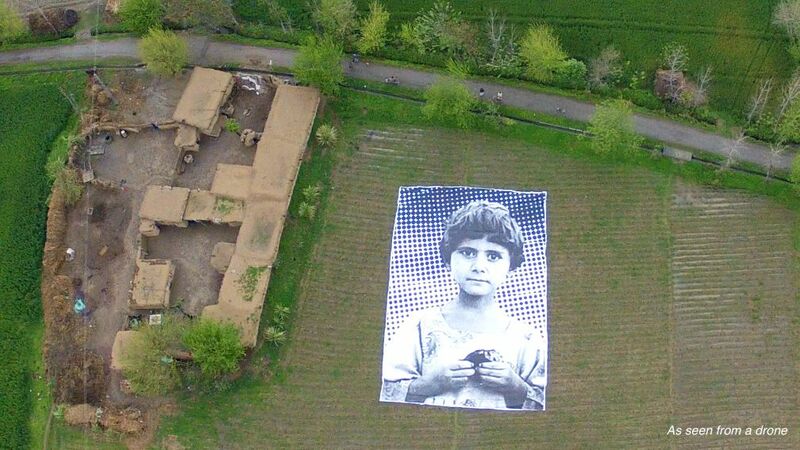 Based on rare access to North Waziristan, the region in Pakistan where most drone strikes have occurred, Amnesty International conducted detailed field research into nine drone strikes that occurred between January 2012 and August 2013 and which raise serious questions about violations of the right to life. Among them is the October 2012 killing of 68-year old grandmother Mamana Bibi. She was killed in a double strike, apparently by a Hellfire missile, as she picked vegetables in the family’s fields and while surrounded by a handful of her grandchildren. Amnesty International also documented cases of so-called “rescuer attacks” in which those who ran to the aid of the victims of an initial drone strike were themselves targeted in a follow-on attack. In a July 2012 case, 18 laborers, including 14-year-old Saleh Khan, were killed in multiple strikes on an impoverished village close to the border with Afghanistan as they were about to enjoy an evening meal at the end of a long day of work. Witnesses described a macabre scene of body parts and blood, panic and terror, as U.S. drones continued to hover overhead. In addition to the threat of U.S. drone strikes, people in North Waziristan are frequently caught between attacks by armed groups and Pakistan’s armed forces. Al-Qa’ida-linked groups have killed dozens of local villagers they accused of being spies for U.S. drone strikes. As with the unfettered surveillance program, this must be brought out of the shadows and a full accounting of the hundreds of civilians killed. Those responsible for their deaths must be held accountable and brought to justice.